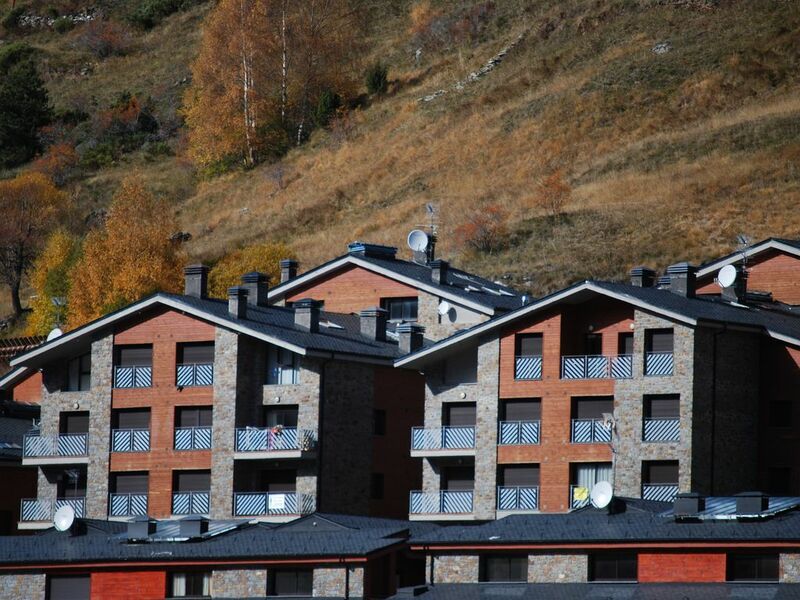 Penthouse at Ski Station Grand Valira in San Pere del Tarter, Canillo, Andorra. Nice and large double level penthouse with totally 90 m2. Large living room with and open kitchen at the top floor and 2 bedrooms and 1 bathroom on the lower floor. Up to 6 persons. Just in front of the Parking of the Ski Gondola of El Tarter. Excellent views of the ski slopes of Grand Valira. Parking space in the building for a mid size car. Just 300 meters from the Gondola. View more about R. C.
Nice decoration in a large double floor penthouse. Excellent views at the ski slopes and mountains of Grand Valira. Midsize parking space and locker room available in the building.